Borrowing its name from the tradition of undiluted, powerful whiskies and scotches, the 5 Vegas Cask-Strength is a complex, full-tilt blend booming with satisfying layers of flavor. 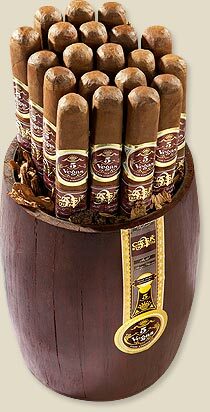 The mixture of feisty Corojo wrappers and long-leaf ligeros born from Cuban seeds in Nicaragua is extensively aged then box-pressed to perfection for optimal flavor. 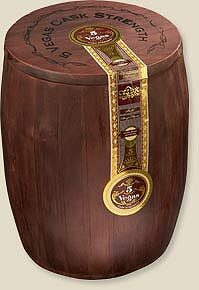 Do not fear this big boy blend - 5 Vegas Cask-Strength is balanced and buttery throughout.